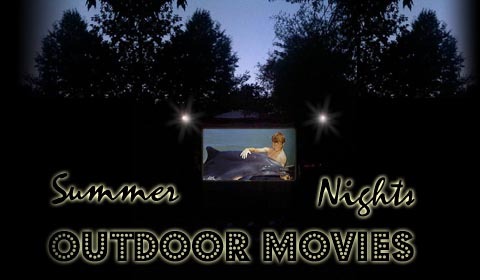 The Fun of a Drive-In Movie In Your Own Backyard! Summer Special - Save $100!!! All oudoor movie packages include a hi-lumins projector, DVD Player, Big Blow-Up Screen w/compressor, professional sound system (where the sound from the movie is hooked up into the sound system), and operator/DJ. Screen sizes vary. 1. Screen must be set up on flat and relatively level ground/surface. 2. Projector must be within close proximity to electricity (a dedicated circuit). 3. DJ will need a table, cell number, and directions. 4. It must be dark to show the movie. 5. Regarding the weather, it can not be raining or be too windy. 6. You provide movie on DVD. We ask that the movie selection please be family-friendly.